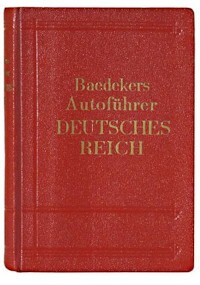 Autoführer Band 1: Deutsches Reich (ohne das Land Österreich). Offizieller Führer des Deutschen Automobil-Clubs. 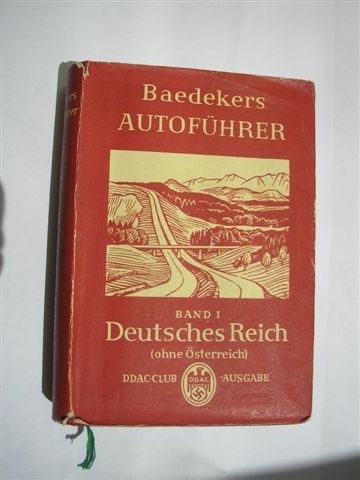 Should ideally contain a "Strassenzustandskarte" (road conditions map), but that was inserted loose and is often missing. The presence of the map would increase the price by �20-30. 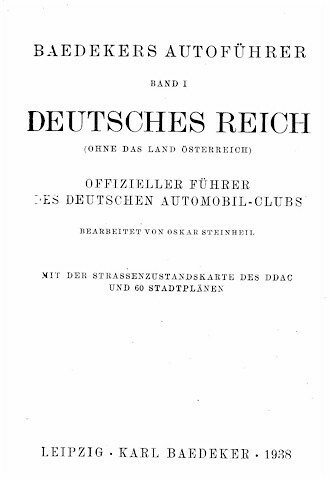 This edition (and the following) was issued for the DDAC (German Automobile Club). There are consequently two versions: one with the coat of arms of the DDAC on the title page, for its members; and one plain version for the general public.